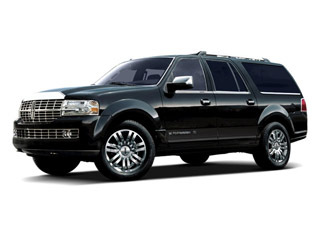 The Lincoln Navigator is sold in just two models -- Lincoln Navigator and Lincoln Navigator L -- and both of them are offered with a choice of rear-wheel drive or 4-wheel drive. 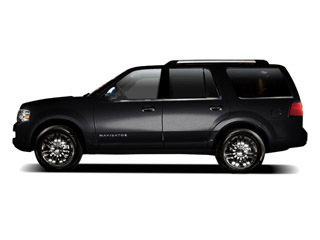 Features and powertrains between the two models are similar, but the Lincoln Navigator L is about 15 inches longer than the standard-length Lincoln Navigator. Both Lincoln Navigator models are powered by a 300-horsepower, 5.4L V8 engine, hooked up to a smooth-shifting 6-speed automatic transmission. Even though the Lincoln Navigator can top a 6000-pound curb weight, the powertrain has plenty of power to move the big SUV with authority. The engine's 365 pound-feet of torque brings strong trailer-towing capability, with a rating of up to 8700 pounds. Fuel economy is about as expected for a vehicle of this size and weight, at 14 mpg city, 20 mpg highway for the 2-wheel drive model. 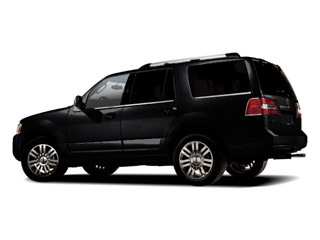 For those planning to carry people in the third-row seat, the Lincoln Navigator L is the model to get. It has 17 inches of additional wheelbase length, and almost all of this additional length translates to roomier accommodation in the second and third rows. The back doors are larger, open wider and therefore, access to the third row is easier. The Lincoln Navigator's interior is very plush and extravagant, with a very traditional interpretation of high-end luxury. Supple leather, real wood veneers and metallic trims abound. The ride is soft, cushy and quiet, thanks to the use of an acoustic windshield and a wind-noise-reducing side mirror design. The dash is quite upright and truck-like, yet with the materials of a luxury car, and a prominent center console flows through the back seats, the instrument panel was designed to suggest the frames of fashion eyewear. 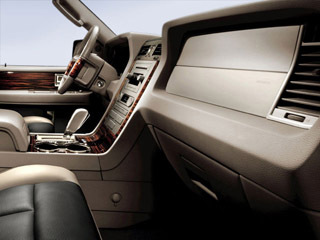 The standard equipment list on the Lincoln Navigator is vast, including virtually everything that a luxury SUV buyer would wish for -- including a dual-zone climate control system, heated front and rear seats, cooled seats front seats, HID headlamps, keyless entry, power-adjustable pedals, power-folding third row, park assist and rain-sensing wipers. Standard on the Lincoln Navigator is the THX-II sound system. The system has 14 speakers, two subwoofers, a 12-channel amplifier and state-of-the-art signal processing to make the most of your music. Standout options include a DVD entertainment system with wireless headphones and power running boards, remote start, a navigation system and a power moonroof. A Sirius Travel Link option brings live traffic information, along with weather information, sports scores and other features to the navigation system.